Do you remember my post from July on Entertaining with Tapas? If you haven’t seen it, you can find it HERE. In that post, I promised to come back with some Tapas recipes. Well here is a really good and easy one your guests will love. Those shrimp and lime skewers are so delicious and simple to prepare, you’ll want to make them again and again. Think about making them for the Holidays! Add them your Christmas menu. 24 raw shrimps medium size with shell. 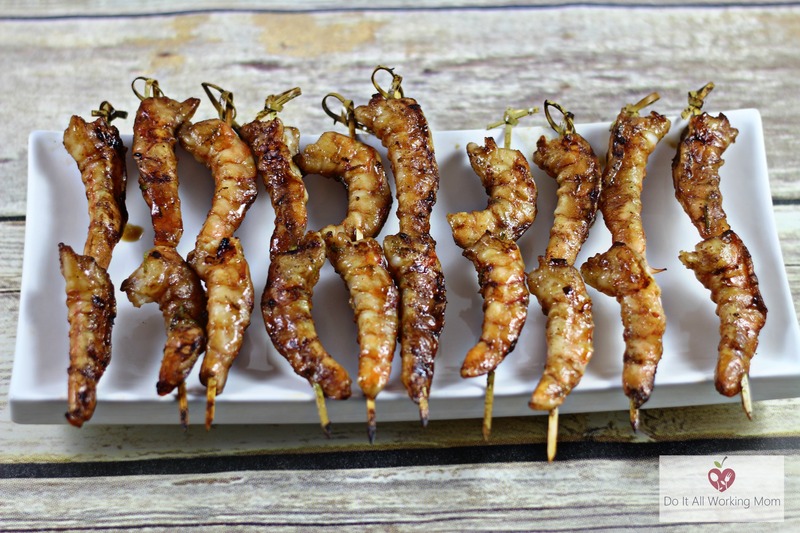 Thread shrimps onto appetizer size wooden skewers (depending on the length of the skewer you can put one or two shrimp per skewer). 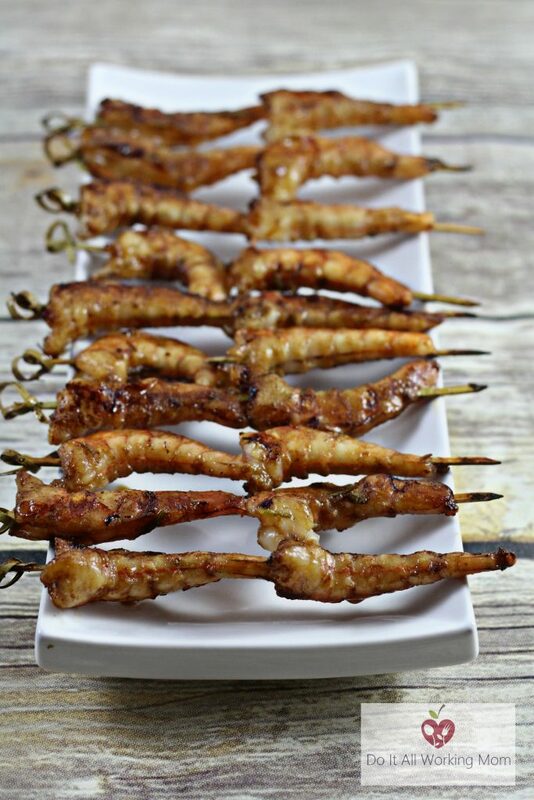 Place shrimp skewers on a tin foil lined baking sheet. Brush shrimps on both sides with mixture. Cook for 10 minutes (it’s not necessary to turn the shrimps half way). Makes 24 single skewers or 12 double skewers. Cook for 10 minutes (it's not necessary to turn the shrimps half way). Hope you enjoy these delicious Shrimp and Lime skewers! I’m sure he will really enjoy them! These look really yummy! Putting these on my list of recipes to make. My daughter loves all things seafood. She would really like these. Thank you for sharing! I’m sure she’ll love those! Let me know what you think. We really enjoy them. Anna’s right, repace the shrimps with strips of chicken and adjust the cooking time. I really want to make these! Looks so good. I’m pinning for later! They look absolutely delicious! Can’t wait to give them a try! YUM, YUM, YUM! Get into my belly:) These are perfect for parties. Yes they are, your guests will love them. This sounds like something my husband would love. Thank you for sharing with us. Your welcome, hope he likes it! This sounds great,we love Shrimp. What a delicious recipe! I love shrimps! That looks really delicious! Thanks for sharing. I have to try it! I love shrimp so I am definately going to try your recipe. It looks delicious!! Thanks Karen, hope you enjoy it! Shrimp on the barbie! Classic Aussie line. BBQ shrimp always brings out memories of summer for me, but it looks like you can make yours in the oven at any time of the year. Great marinade recipe — I’ve also used a classic vinaigrette marinade on the grill, and had good luck with that. Thanks for sharing!